Let’s start with an introduction: Who is M.C. Planck? Like M. C. Hawking, except for literature rather than physics-derived rap lyrics. Also, my name. Not a pseudonym, despite the rumors. 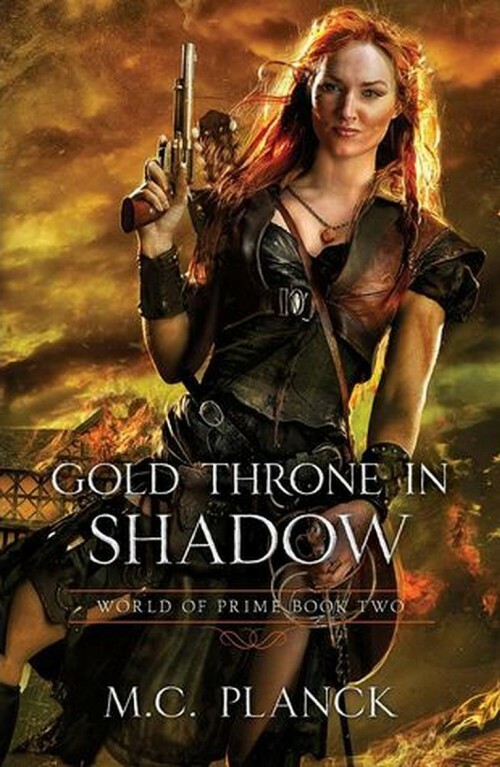 Your latest novel, Gold Throne In Shadow, the second in your World of Prime series, is due to be published by Pyr Books in October. What can fans of the first novel expect from this sequel, and how would you introduce the series it to a potential reader? The frame of the story is a classic: a person from our world crosses over to a world of sword and sorcery. What makes it different is the world he has travelled to: on the surface, it seems like any old pseudo-medieval fantasy kingdom, until you get to the bit about how magic is fuelled by eating people’s brains. The other difference is that our hero is not a young farm boy with a divine destiny, but a middle-aged engineer with bad manners. Christopher Sinclair, like any sensible person, does not want to wander around waving a sword until a dragon eats him or a wizard turns him into a newt. Adventuring is only fun for the insane and the desperate; all he wants is to go home. Along the way he has some interesting, and ultimately disturbing, experiences. The second book finds him promoted to the head of the army regiment he invented black-powder rifles and cannons for. Now that he is a member of the ruling class, he discovers that friends and enemies are not always what they appear. Also, fans of the bard Lalania will be pleased; she occupies a considerable amount of pages, in addition to gracing the cover. There are quite a few books that deal with this theme. As good as they are, I wanted to put my own stamp on it. I wanted a world where the incredible power of magic was matched by an equally incredible cost, and the structure of society acknowledged the existence of that power, a world that could answer the question “why is a guy with a sword in charge if there are wizards who can bend reality with their minds?” Then I wanted to blow it up. I can’t remember the first novel I read; but I do remember an incredible sense of sadness when I read the last page of Lord of the Rings, knowing that I could never go back there for the first time again. Having an agent is awesome, because it means there is at least one person other than your wife who will actually read your books. Despite all protestation otherwise, all writers write for one thing and one thing only: accolades. Without praise, or at least attention, we shrivel up and eventually become the lowest form of literary creature, the political pundit. Hiding from the five-year-old is first. Finding music my wife and I can both write to is the second; mostly movie themes and instrumentals. Other than that I picture the opening and ending scenes, and then just fill in the middle. 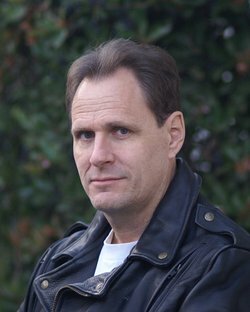 I took a short-story writing class at a local community college. I made some great friends there, in addition to learning the basics of constructing satisfying stories. I remember being proud of finishing a 5,000 word story, which felt really hard. Then I started SotBL and wrote 200K in three months. That’s when I thought, hey, maybe I could do this. I think it’s great. I am particularly thrilled with the increase in realism for the fantasy genre; Tolkien, for all his gloriousness, didn’t bother to give the Uruk-hai army a baggage train. My book has been described as “gritty,” which is interesting considering that the main characters are all thoroughly nice people. But the real world is gritty; bad things happen in it, no matter how pure your intentions are. I write about good people in a bad world, and how it (or if) it is possible to be a saintly healer when your power to heal is gained by eating people’s brains. I just sent an SF manuscript to my agent, about dogs, the end of the world, and the director of the National Science Foundation. I also have the third in this series almost finished; Judgment at Verdant Court will see Christopher rise from minor noble to peer of the realm, along with some other distressing developments. 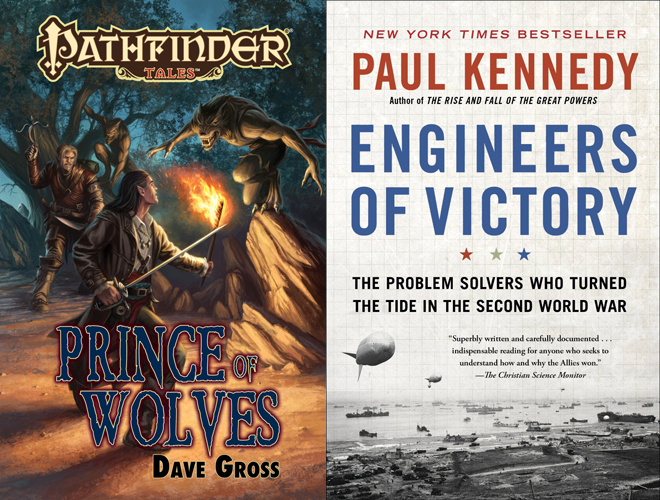 Fiction: Dave Gross’s Prince of Wolves, from Pathfinder Tales. Non-Fiction: Paul Kennedy’s Engineers of Victory: The Problem Solvers Who Turned The Tide in the Second World War. I make the greatest chocolate cake in the world, with chocolate pudding in the middle and a thick layer of home-made chocolate icing. It takes 3 hours to make. But I can’t eat any of it, because I’m diabetic. Getting my daughter a bicycle for Xmas, so we can ride together. Thank you, Stefan, for the opportunity to chat. M.C. 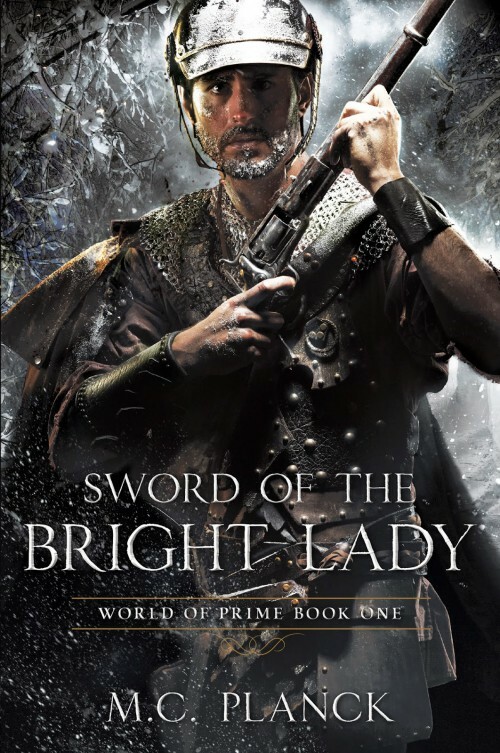 Planck’s Sword of the Bright Lady and upcoming Gold Throne in Shadow (October 13th) are published by Pyr Books. 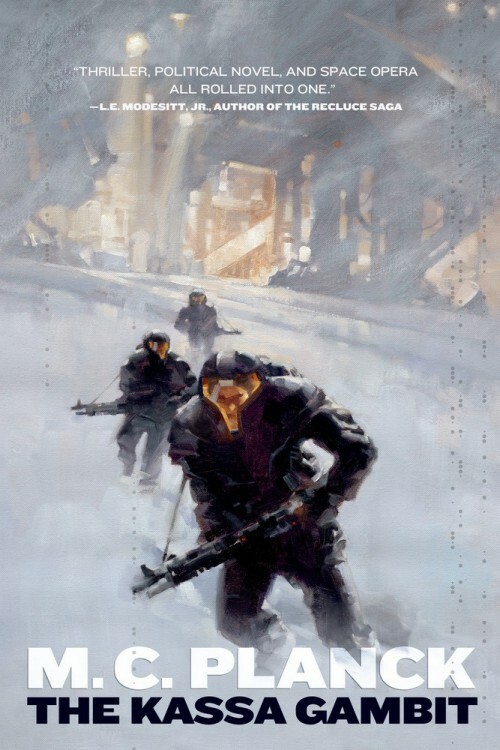 He is also the author of The Kassa Gambit, published by Tor Books (cover below). For more on the author’s novels and writing, check out his website, and follow him on Goodreads.